Hey NaturallyCurly Community! It’s Nina Sultan here. After years of experimenting with all kinds of different products, I can officially say that I have found my ultimate set of holy grail products. I have been using them religiously for the past 6 months and my curls have never looked so moisturized and defined. I usually start styling my curls right after I get out of the shower. Using a t-shirt to scrunch my curls, I wrap my curls up and leave them for about 10 minutes. Once I take off the t-shirt I continue to scrunch any excess water out of my hair before I begin to apply any styling and finishing product. The first product I use is my DevaCurl Supercream Coconut Curl Styler as a leave-in. I use about two pumps and rub the product between my palms before gently finger combing the product all throughout my curls for a nice even distribution. I love this leave-in because it doesn’t weigh down my curls at all, is easy to distribute, and has a lovely coconut scent. It’s 100% free of sulfates, parabens, and silicones which I love, and it gives my hair incredible moisture. I have found this leave-in to work really well with fine curly hair, which is perfect for me. The next product I apply is my Bounce Curl Light Crème Gel with Aloe Vera and nigella sativa. I use slightly over a quarter amount and rub the gel between my hands, and again, gently finger comb throughout. I love this gel because it doesn’t leave my hair feeling crunchy or sticky, rather, it soaks into my curls and leaves them with incredible definition. The combination of the DevaCurl with this product, never fail to make my curls look amazing each and every time I use both of these products. This product also has a light fruity scent to it which I find to be quite pleasant. The final product I add to my hair is my Ouidad Mongongo Oil as a finishing product. I use two pumps of this and again, rub it between my hands, and then lightly scrunch the ends of my curls with this all the way around my head. I love this oil because you can use it for many different reasons such as a leave-in, heat protectant, or a finishing oil. This product really provides my curls with the enhanced shine and softness that I desire. It smells like a light mixture of essential oils and is a lovely oil to try if you are looking for something that will leave your hair feeling soft and looking naturally shiny. After my products have been applied, I give my curls a gentle shake or two to allow them to fall naturally before I begin to dry them. Before, I used to let my curls air dry for about an hour before diffusing, but lately, I have started diffusing my hair almost immediately after all of my products have been applied. While there is some controversy that doing that isn’t good for you hair, I have been doing that for months and so far and haven’t noticed any damage to my hair. I love the enhanced volume I get from diffusing that I wouldn’t get otherwise from air-drying alone. Once I’ve finished diffusing my curls, I shake them gently to fluff and even them out. 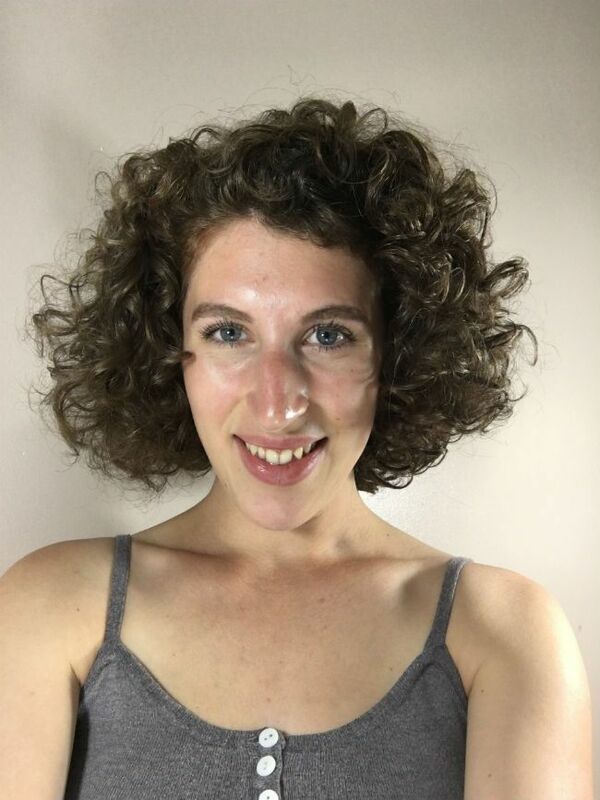 While diffusing and shaking gives my curls incredible volume, I have been into really big curly hair lately so I have been using my little hair pick to add even more volume to my hair. This is optional because sometimes shaking and diffusing can be enough, but for my purposes, I take the pick and slide it gently near my roots and fluff upwards to get that desired extra height. Do you prefer diffusing or letting your curls air-dry? Let me know in the comment section below!